One thing I have come to expect in cooking is that not all of my experiments will turn out favorably. If you’ve been cooking for a little while and are comfortable trying different things and not using recipes, then you also know this to be true. That is why, when a dish turns out right and tastes delicious on the first try, I am always so pleasantly surprised. I’d been craving goat cheese, peas and mint in a pasta filling for some time and was just waiting for the mint in the backyard that seeds itself each year to spring back into action (pun intended). I harvested the first good sprigs last week and was finally ready to get to work. By then, I wasn’t feeling the filled pasta anymore so I processed some of the mint with the flour for the pasta dough to make minted fettuccine. Instead of a pasta filling I used the peas, goat cheese and mint along with minced shallot, fennel pollen and egg to make a quick dressing that would cook from the heat of the drained pasta when the dish was tossed together. For good measure I sautéed some pancetta and mushrooms to throw in at the end for a little substance. There was enough of this dish to easily feed two, but it only fed one (me) and was eaten very quickly (read inhaled). It was quickly added to my list of spring staples and it didn’t come from a recipe so don’t think you have to stick to this one. Scallions or spring onions would be delicious in place of the shallot and you could just as easily sub in ricotta for goat cheese and so on. Are you planning a big Easter meal this weekend? Or perhaps you’ve just finished all of the cooking for your Seder? I am letting myself off the hook this year. The honey baked ham is already ordered and with the addition of some oven baked asparagus and rolls, Easter dinner is served. If you do want to do some cooking this weekend, this pasta is a great way to acknowledge the flavors of spring without putting forth too much effort. Yes I make the pasta from scratch, but if you have a Cuisinart and a pasta machine (even easier with the KitchenAid pasta attachment) then that really isn’t a difficult task. Place the flour and salt in a food processor with the mint leaves and blend until the mint is minced and well incorporated. Add the olive oil and eggs and process until the dough pulls away from the sides of the bowl and forms a ball. Flatten dough into a disc about 4 inches across, wrap with plastic wrap and let sit for at least 30 minutes. Process according to your pasta maker directions, using the fettuccine attachment to cut the pasta. Place all the ingredients aside from the egg in a food processor or blender and process until smooth. Taste and adjust seasoning, then add the egg and process until incorporated. Bring a large, salted pot of water to a boil. While the water is heating, place the oil in a pan over medium heat. Add the pancetta and cook for 2 – 3 minutes before adding the mushrooms. Continue cooking until the mushrooms are soft and set aside. Cook the pasta and begin to check for doneness after just 2 minutes. Fresh pasta cooks much faster than dried. When fully cooked, drain and return to the pot along with the dressing and the mushroom mixture. Toss well until the sauce is warmed through and serve. Yum! Mint and peas are my favorite spring combination. I will definitely be trying this. Thanks! Homemade mint pasta...how wonderful with your lovely springtime sauce. A great combination of flavors. You've created a pasta with really great spring flavors. I'll try this very soon. Wow, homemade pasta! You are amazing. I love the flavor of mint! Gorgeous. I wish I had the patience to make my own pasta. It has been well documented that every time we try, The Boss and I end up fighting. The agnolloti incident of 2008 was particularly vicious. Oh yum - looks amazing! I love your combination of flavors and I'm super impressed you made your own pasta. I am also always pleasantly surprised when a dish comes out perfectly the first try! Fresh pasta is one of my favorite things ever, and this sounds delicious. LOVE the photo of the pasta hanging - so beautiful! Sounds delicious, too. I must admit that I have a hangup about making my own pasta. Chalk it up to one too many traumatic experiences in culinary school! This sounds like a great combination! The goat cheese, peas, fennel pollen, and mint--delicious! MMMMM... Jessica, this home made pasta looks creatively yummie! I love those 2 flavours together!! How very creative and what a lovely end result. I need to conquer my fear of experimenting and have been thinking about that more and more. Thanks for the further inspiration. We must have been in the same minty pasta place this week. This looks lovely. What flavor does the fennel pollen add? I've had it at restaurants but I've never really tasted it separately. Sounds divine, and I bet that petite pea dressing is not only spoonalicious but good on just about anything! 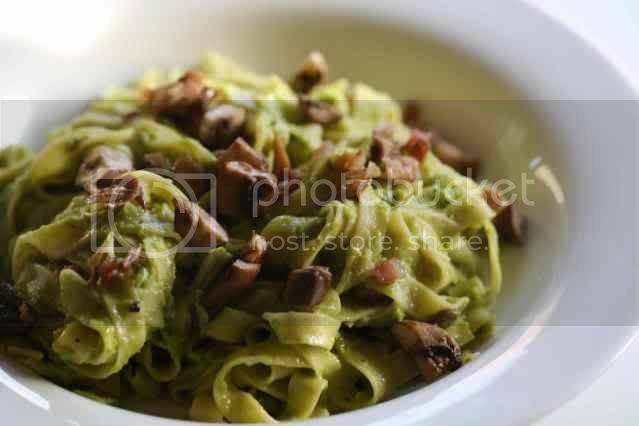 Mint pasta sounds amazing! Lots of possibilities with this one! I love this recipe! I'm definitely printing this one out -- I bet the flavors are just amazing together! Goodness gracious! I do have a KitchenAid pasta attachment (that I have never used), but after seeing this delicate pasta (with mint) and the sauce with peas, goat cheese, and fennel pollen, I think I am in love. I am going to put that pasta maker attachment to use soon! I can't wait to make homemade pasta sometime. I can see why this was inhaled! Looks fantastic. Mmmm I love the combo of mint and peas. Kate - The fennel pollen adds a very subtle anise flavor as you might expect, but it also adds a little hint of honey flavor - totally surprising and one of my new favorite things. You'll probably see more of it on Apples and Butter soon! great site. love the recipes and pics! Such wonderful flavours, perfect for this season. 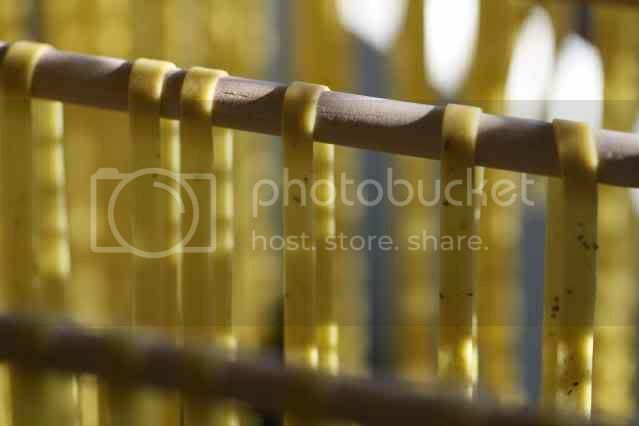 Love the pasta hanger shot!